The first rule according to Bo Sanchez..., founder of the Truly Rich Club, is this: "If you earn it, don’t lose it." You need to learn how to protect yourself from a scam. It’s useless to earn good money and then lose it all to a financial fraud. Before I continue, allow me to ask this question: How many investment scam have you heard already? How many Filipinos are still not aware on how to spot these scams? 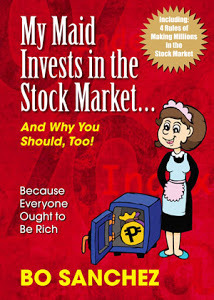 This only means... sad to say... that many Filipinos are still need to educate about money mindset and financial literacy. 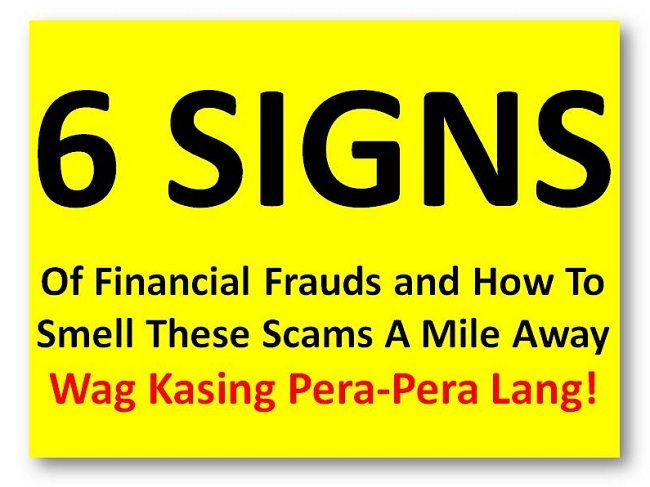 There have been many financial scams in the Philippines. To name a few, we heard victims from Multitel (Multinational Telecom Investors Corp.), started by Rosario “Rose” Baladjay, was probably the biggest scam in Philippine history. You also probably heard about FrancsSwiss, Performance Investments Products Corp (PIPC), MMG Holding, Tibayan Group of Companies, Legacy Group, Maria Theresa Santos Trading, and the latest Aman Futures, headed by Emmanuel Amalilio that swindled P12 billion (US$ 295,000,000 est.) from almost 15,000 victims in Mindanao and the Visayas. 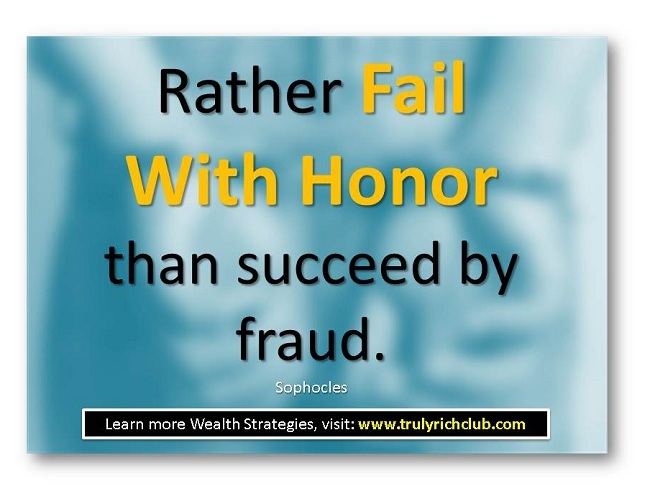 As part of my Truly Rich Club Review, in these post I will share you some signs of financial frauds or financial scams. This is also from the insight I received from Truly Rich Club Wealth Strategies Newsletter. 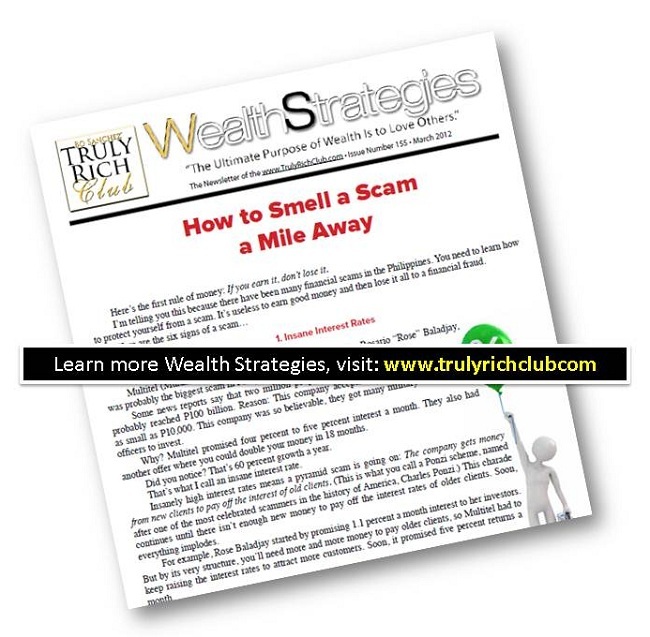 You can get the complete WealthStrategies report "How to Smell a Scam a Mile Away" inside the membership site.